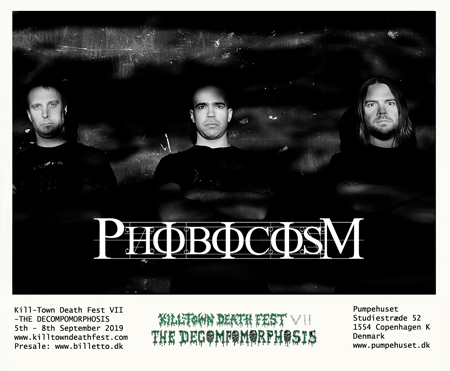 Killtown Death Fest » Announcement #31: First ever European performance of PHOBOCOSM (can)!!! Announcement #31: First ever European performance of PHOBOCOSM (can)!!! Tonight we turn our focus back towards Canada and again this time to the Montreal scene where a great band signed to Dark Descent Records dwells. Despite being around for more than 10 years, they have still never made it across to Europe. Therefor we are very excited to present the very first ever European performance of the amazing, dark death metal entity known as PHOBOCOSM!!! Phobocosm was founded in 2008 with the intent of writing the darkest, most uncompromising death metal possible. The founding members agreed on one thing when they formed the band: its sound was going to be a mix between different styles of dark and extreme music, but its roots would have to remain firmly planted in the “dark death metal” style with an old-school approach while incorporating a lot of elements from other styles of music such as doom metal, black metal and ambient. Phobocosm’s music is comprised of a mix of slow, mid-paced and fast parts with a strong focus on writing the darkest riffs possible in the realm of death metal while never sacrificing the song itself in doing so. The band’s inspiration both musically and lyrically is pure darkness, hopelessness, suffering and knowing that things just won’t be fine. Both of their albums are basically soundtracks to the apocalypse, or at the very least their interpretation of what the apocalypse will sound like. There simply cannot be any light in the band’s music. 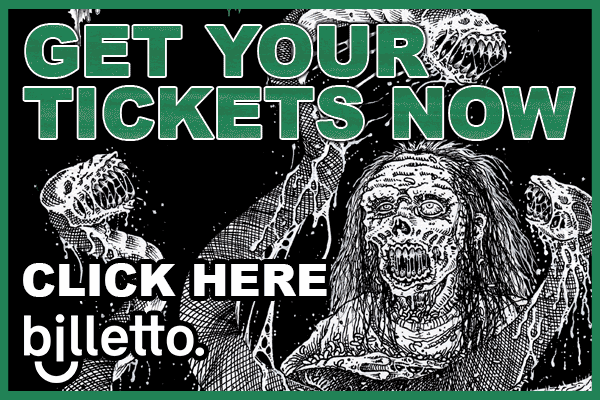 Having played concerts all over North America in the last few years to support “Deprived” (2014) and “Bringer of Drought” (2016), Phobocosm is now ready to finally take its brand of death metal to European soil. Their third album should be released sometime in 2019.